Spam classifier example, error analysis, skewed data, precision, recall and large data sets. 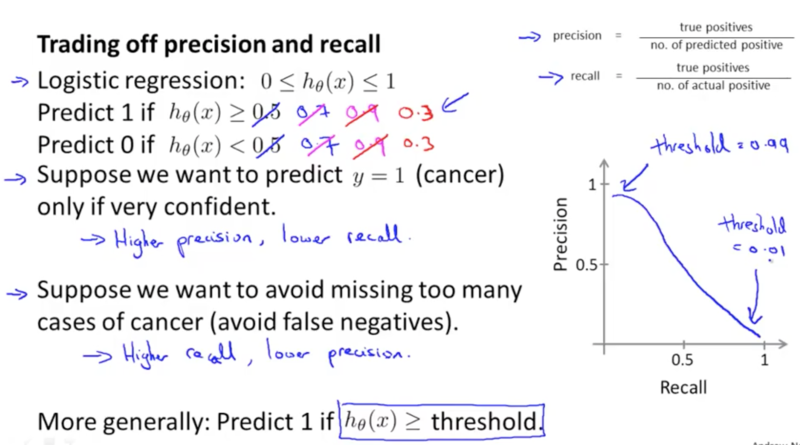 How do you implement supervised learning? How do you spend your time to have a low error? Should ‘discount’ and ‘discounts’ be treated as the same word? How about ‘deal’ and ‘Dealer’? Don’t base on your gut feeling! Don’t base anything off your gut feeling! Should discount, discounts, discounted, discounting etc. be treated as the same word? Why is the recommended approach to perform error analysis using the cross validation data instead of the test data? Do error analysis on cross validation set, do not use it on the test set! 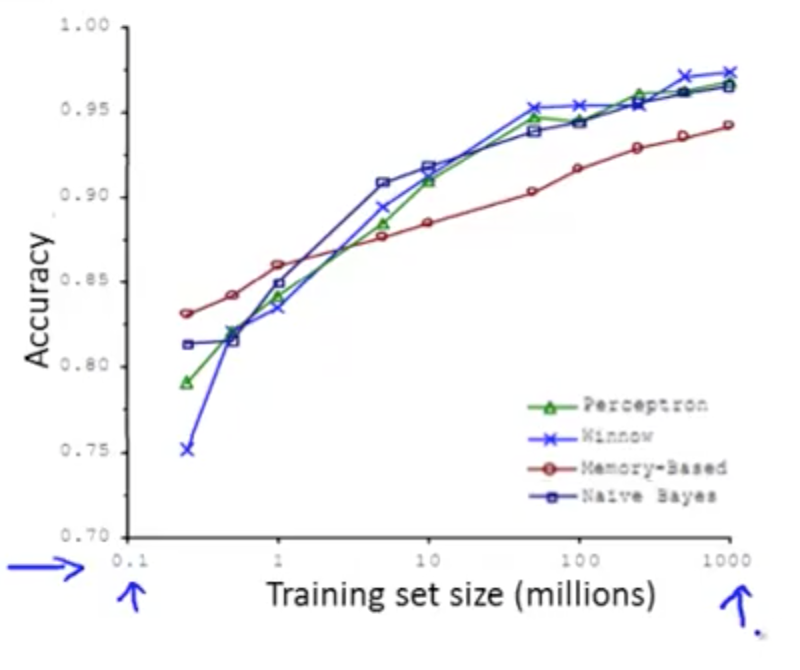 How do we compare precision/recall numbers? Which pair is best?